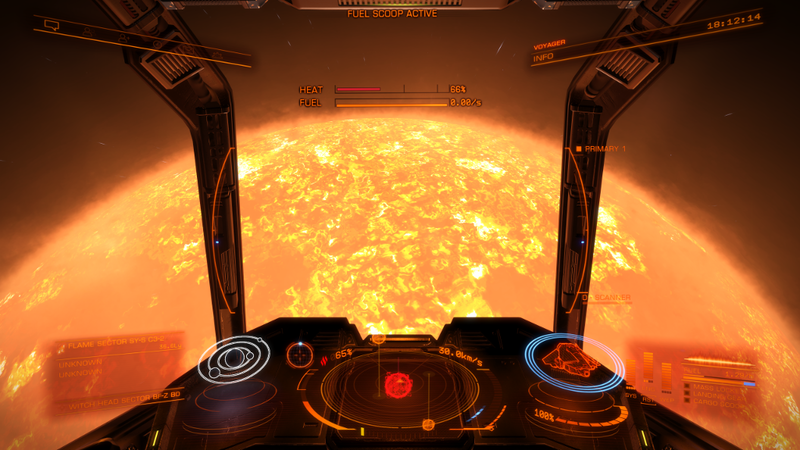 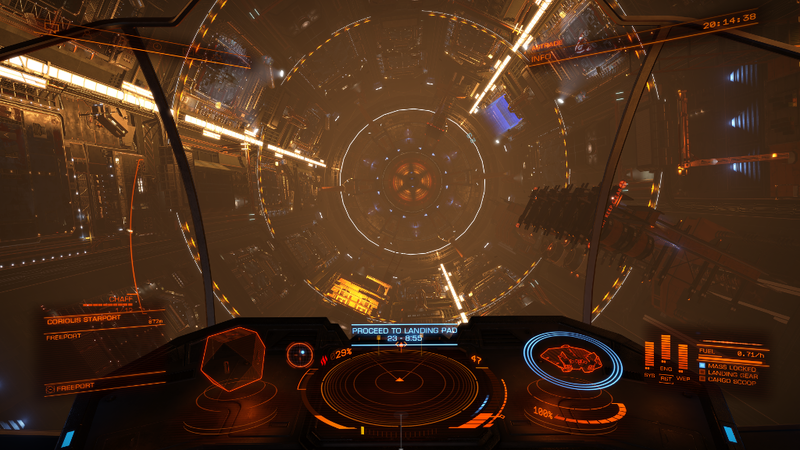 Elite Dangerous is a beautiful game with incredibly detailed assets, especially in and around the space stations. Free-flying around these is arguably the most fun part of the game so here are a few screenshots I’ve taken (scaled down due to size). 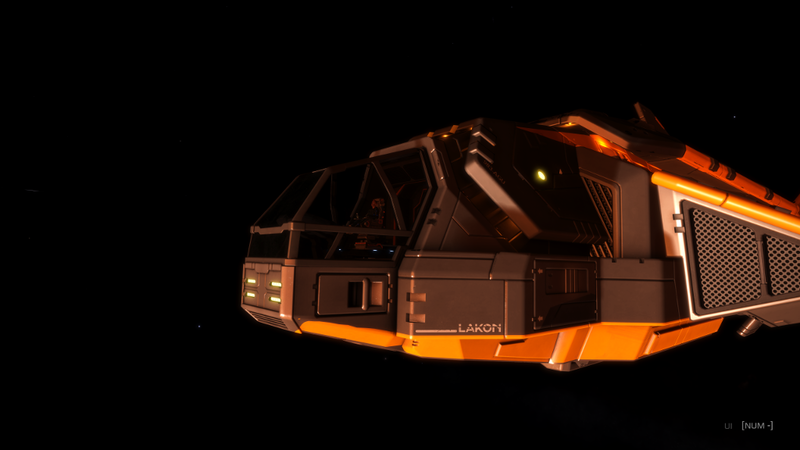 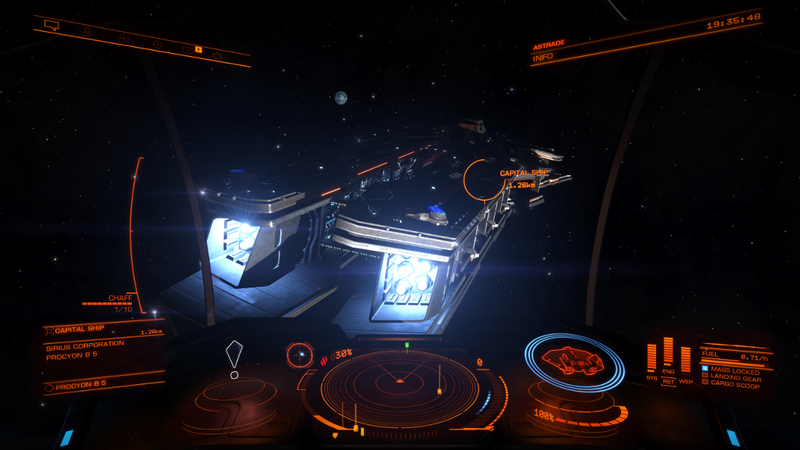 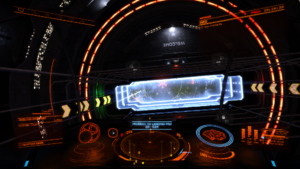 On my travels delivering passengers around the galaxy I found a capital ship!